SEO or Search Engine Optimization can seem daunting to the beginners. Fortunately there are some good, free tutorials on the Web to get your started. Think of SEO as a step-by-step process; begin at the beginning, and that very first step can be reading one (or a few) of the better tutorials out there. Here’s our list of the best tutorials on search engine optimization, ranked with the best first. (Excerpted from the SEO Fitness Workbook). Google SEO Starter Guide – Here’s a concept. To succeed at SEO, do what Google tells you to do! This is an older but basic guide by Google on it’s official todos for SEO success. It’s excellent as a basic guide to On Page SEO, but has ZERO coverage of Off Page tactics such as link-building, and no coverage of keyword theory or selection. Still, you gotta read it. Search Engine Watch Google Ranking Factors Guide – While not a tutorial per se, this is an easy-to-understand guide to the Google SEO ranking factors. Once you know a ranking factor, you can then simply implement it on your website. 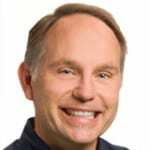 Bruce Clay’s SEO Tutorial – Bruce Clay has one of the best SEO books out there – SEO for Dummies. But, true to the adage of why buy the cow when you can get the milk for free, you can find his free tutorial and use that. It’s more basic than the book, and a bit out-dated, but it covers the basics. It also has nice video links. MOZ SEO Beginners Guide – MOZ is one of the top providers of (paid) SEO tools. It provides this basic introductory tutorial to SEO. Aimed at beginners, and (over)emphasizes technical SEO. But, hey, it’s free. Search Engine Land’s Guide to SEO – Search Engine Land is clearly the top blog on search engine optimization. They provide this in-depth and pretty useful guide to SEO for their readership. They have a periodic table of SEO factors, which is a completely bizarre way to explain factors that have different ranks. But, oh well, they failed chemistry in High School but paid attention in math. This guide is a useful, basic guide to the subject. The Site Edge: Local SEO Tutorial – An excellent, step-by-step guide to Local SEO. A Complete Guide to SEO – SEJ’s e-book, A Complete Guide to SEO, provides an extensive overview of today’s search engine optimization landscape. With the help of some of the top influencers in our industry, we tackle the most important components of SEO at present. Periodic Table of SEO Success Factors – A nifty visual way to understand which factors, both on page and off page, impact SEO. QuickSprout SEO Tutorial – First of all, this tutorial has the most ANNOYING continual pop up nags to join the email list. That makes it nearly unreadable. However, if you can keep clicking no, no, no, the guide itself is very well done, and easy-to- use. It’s heavy use of pictures makes it very nice. TutorialsPoint SEO Tutorial – This online SEO Tutorial is pretty good at the basics of SEO, especially On Page optimization. 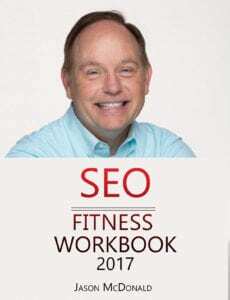 However, it assumes you have a basic technical knowledge of the subject, so I recommend you first buy the SEO Fitness Workbook or another basic book before utilizing this guide. Hobo’s SEO Tutorial for Beginners – Updated in June, 2016, this guide dives into SEO pretty quickly. It has links to topics such as ‘What is the Perfect Keyword Density’ and often includes YouTube videos. Like many online guides, it assumes some basic knowledge and overview. It’s heavy on the technical SEO and light on the strategy. WordPress SEO Tutorial – This is the official Yoast guide to SEO for WordPress. Accordingly it focuses mainly on WordPress, and mainly on On Page SEO. Of course the ‘rules’ of SEO aren’t different for a WordPress site, so really anyone can benefit from this guide. It does not really cover Off Page SEO, however. Google’s Webmaster Academy – This is Google’s official learning resource on SEO. It’s pretty bad – super oversimplified with goofy graphics, and quizzes. It is, however, so light on information that it’s pretty much a joke. Included just to show you that, sometimes (often), Google is NOT the best source of information on SEO. It’s too tangled up in the conflict of interest of making money off of AdWords advertising yet also trying to speak to a community that just wants the free stuff on Google thank you very much.